Dell's Inspiron 11z is one of the cheapest Intel CULV-based machines on test this month and, as a result, looks aren't its forte. Open its plasticky lid, however, and you'll find one of the nicest screens this month. 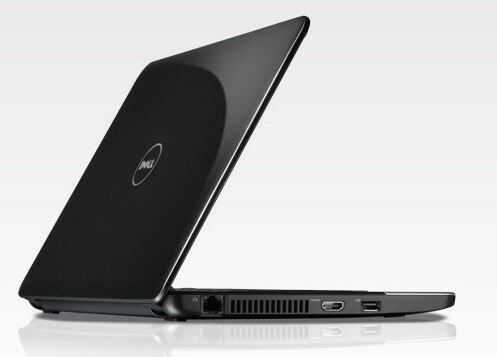 This entry-level Dell notebook offers better performance than a netbook but is only slightly bigger and more expensive. Dell's entry-level Inspiron 11z notebook has significantly more power than similar sized Atom netbooks but remains thin and light. A good display and reasonable keyboard size make it easy to use; the multitouch trackpad is our main point of annoyance. A poor touchpad and below-par build quality undermine a budget laptop with plenty of potential. But, in the end, neither longevity nor the price tag prove enough to overcome its problems; the creaky chassis and dreadful touchpad design undermine a budget laptop of great potential. 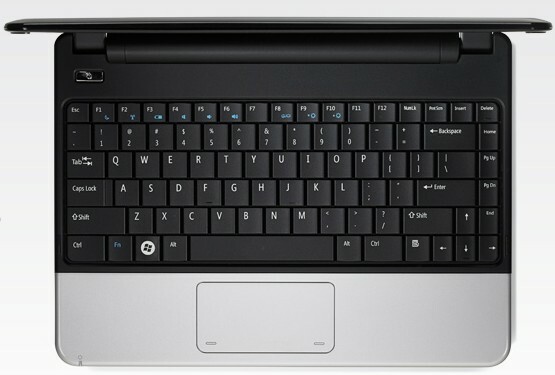 Like a netbook, the Dell Inspiron 11z is aimed at the sweet spot between price, performance, and portability. But it’s aimed a little higher than a netbook. It’s larger and more expensive, but it offers significantly better performance for everyday tasks such as watching HD video and for less common tasks like transcoding video. While most people wouldn’t pick up a netbook as a primary machine, if you don’t need a blazing fast processor, the Dell Inspiron 11z with a dual core Pentium SU4100 could in fact function as a primary computer. The Dell Inspiron 11z is an attempt to rectify the biggest drawback of current netbooks--low processing power--by using Intel's ultralow-voltage Celeron and Pentium CPUs. The 11z--which starts at $379--is available with either the single-core Celeron 743 or, as with our test unit, the dual-core Pentium SU4100. Both CPUs run at 1.3GHz with an 800MHz bus. 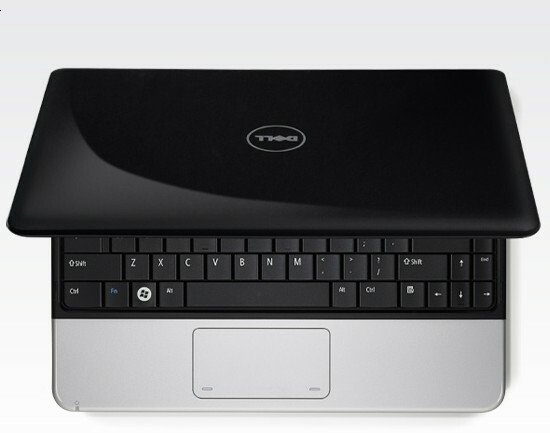 If it weren't for the absolutely awful touchpad, we'd have no problem recommending the speedy little Dell Inspiron 11z. Dell’s Inspiron 11z laptop is lightweight and attractive, but it simply costs too much for what you get. Not only does the touchpad implementation leave something to be desired, but other systems in this class offer better performance and much longer batter life for less money. Both the Gateway EC1430u and the Acer Aspire 1410 best the 11z in most benchmarks and cost $130 to $280 less, with the latter offering a better keyboard and touchpad to boot. A powerful CULV laptop with a great battery life and strong components. Following the critical success of its Inspiron Mini netbook range, Dell has built on its foundation with the CULV Inspiron 11z. The Inspiron 11z is an intriguing proposition. By providing more power, mobility and features than a netbook for a similar price, it represents better value for money and makes a more attractive choice for the frequent traveller. We’ve reviewed a few Intel ULV-powered laptops of late, but none have really been the low-cost ultraportables that these cheap, highly energy efficient processors are supposed to deliver — the Advent Altro, MSI Wind X600 and ASUS UX30 all cost £600 or more. The Dell Inspiron 11z is a great-value ULV ultraportable that gets almost everything right at this price. Unfortunately, the trackpad couldn’t be more wrong and it really ruins the whole deal, so buy a USB mouse if you’re still interesting in buying. The Dell Inspiron 11z remains a capable alternative to a traditional netbook that suffers from a few frustrating problems. The new low-voltage Pentium dual core CPU delivers good performance when paired with the Intel X4500 integrated graphics. Likewise, the fully-functional HDMI connection makes this ultraportable notebook attractive to people who want to connect their laptop to their HDTV. Unfortunately, the praise pretty much stops there. For anyone looking for a compact laptop that’s a tad more capable than a netbook, the Dell Inspiron 11z might just fit the bill. Extra screen space and resolution, along with a larger keyboard, make daily use more comfortable, and the extended battery means useful unplugged runtime too. Just beware that the Celeron-powered version we tried can be frustratingly slow. With all of the stuff listed above the 11z would be a slightly better than average netbook, offered at a reasonable price, with an excellent 11.6″ WXGA screen. Now they are waiting for the next machine, or updated 11z which has the same or better features with a functional touchpad. The build quality was great in terms of the overall construction of the netbook, but lacked in its cosmetic condition out of the box. The processing power of the Celeron performed below our expectations, being slower than the Atom processor. The strength of the 11z came mostly from its much better GS45 chipset, including the X4500 integrated graphics which excelled compared to the GMA950. While Dell doesn't put the Inspiron 11z into its Mini netbook product lineup, it really should be. The main reason that it does not is due to the fact that it has more memory and hard drive space than Microsoft allows for the netbook operating system licensing. Sure, the larger screen, better integrated graphics and HDMI output are all tangible benefits, but the increased cost and very anemic processor just don't make it worth the upgrade from a netbook. Dell should really increase the battery and processor to improve its overall appeal. The Dell Inspiron 11z was one of those notebooks that looks like it could be the perfect machine on paper, but once you get it in person you find out it has some fatal flaw. The build quality was great in terms of the overall construction of the netbook, but lacked in its cosmetic condition out of the box. The processing power of the Celeron performed below our expectations, being slower than the Atom processor. The strength of the 11z came mostly from its much better GS45 chipset, including the X4500 integrated graphics which excelled compared to the GMA950. 723: Slow clcoked single core processor based on the Penryn core but lacking Speedstep. » Further information can be found in our Comparison of Mobile Processsors.